Your Paving Company in Toronto! Established in 1976, Empire Paving is one of Toronto’s most well-known companies providing asphalt and concrete surfaces. We have worked within the GTA for nearly four decades, creating surfaces for high-profile organizations including Walmart, Ikea, Home Depot, Sobey’s the Toronto Transit Commission and many others. 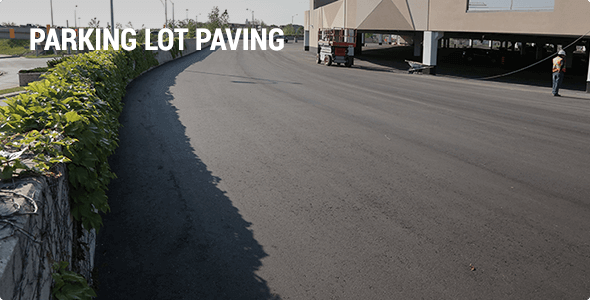 Regardless of whether you need to pave a parking lot, sidewalk, gas station, housing complex or any other type of outdoor space, Empire Paving can address your concrete & asphalt paving needs while working within your budget and time constraints. 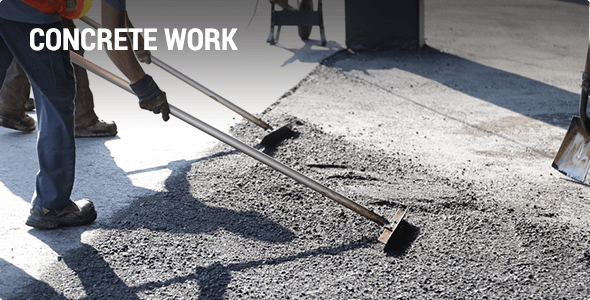 Having a high-quality asphalt or concrete surface is especially important in the Toronto area. This is because harsh Canadian winters can really be a challenge to roads, parking lots, sidewalks and other surfaces. This means that if you do not use a high-quality paving company, or if you let your surface go too long without being updated or repaved, then you could end up with a very poor quality surface. 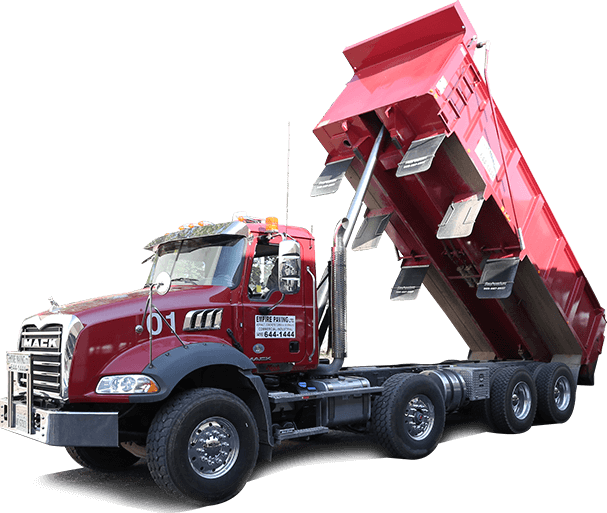 Here at Empire Paving, we are seasoned asphalt paving contractors experts who use the best tools and materials to get the job done right. When we work on your project, you can rest assured, knowing that we will make your road, parking lot, sidewalk, or other surface incredibly strong, and also beautiful. Having a high quality asphalt surface and using a great pavement contractor can give you a paved surface that your customers and/or neighbors will love driving or walking on, and will feel very safe doing so. Nobody likes to drive on a road or parking lot that is cracked and filled with potholes. But everybody likes to drive on smooth, clean, and beautiful surfaces. That is what we will provide for you. 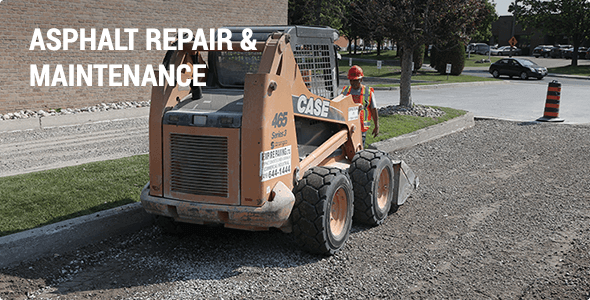 In addition to parking lot pavement, and other paving jobs, we also do parking lot repairs, and other types of concrete or asphalt repairs. 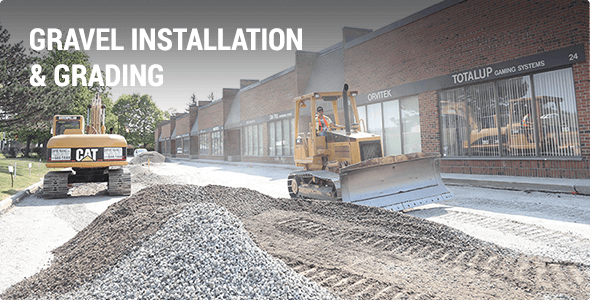 So, if you are looking for paving contractors in the Toronto area, look no further. Empire paving is the perfect contractor for you. Call Us Today at 416-644-1444 to Discuss Your Next Project.We look forward to speaking with you and to helping meet all of your concrete and asphalt paving needs. Our parking lot was literally crumbling due to the extreme winters. We searched for a reputable company to do the work. After speaking with an Empire Paving estimator, I felt like I knew exactly how the work will be done for how much education I received from him. They did exactly what they said they would and more. I'm very happy with the outcome and our building looks brand new because of the job Empire did with our parking lot. From the first point of contact to the completion of our parking lot reconstruction, Empire Paving's staff have been very professional, organized and efficient. I've never seen a crew work like they have.  They are superb at what they do and I will definitely use them again for my other properties. The attitude and professional approach of Empire Paving Limited to the contract to date has been excellent. Anthony Petrozza as the President/Owner of the company has great attention to detail and is uncompromising in his standards of quality and his work ethic. Their men are always courteous and efficient in all aspects of their work. The pavement … has now been in continuous use for two years. Recently completed maintenance inspections confirmed that the pavement is performing extremely well … performing to our expectations and providing the heavy duty working surface required. With well earned respect, I confidently recommend Empire Paving Ltd., for future projects and other complex construction projects.